Restoration Crew – Meets on Wednesday mornings and focuses on maintenance (painting), Ship restoration and special projects. Cleaning Crew – Meets on Friday mornings to work throughout the Ship. They also supervise military groups who maintain the Ship’s teak deck. Teak Deck Supervisors – supervise groups of volunteers who holystone the teak deck. Educational Programming – Battleship 101. Station docents interact with the public throughout the Ship during a family-friendly half day program twice a month. Educational Programming – Ship Speak. Volunteers assist with our communications program, “Ship Speak.” Commitment is generally a few hours in the Spring. Educational Programming – Life-Long Learning Programs. Volunteers work with the Museum Services Director to create and present adult programs such as Hidden Battleship, Firepower! and more. Archives: Behind-the-Scenes – Volunteers scan archival materials into our online collections database and assist program presenters. Special Events – Volunteers help staff Batty Battleship’s Halloween Bash and the Easter Egg Carnival. Ship Store – Volunteers monitor the store during high-volume school visitation days in the Spring. Schedule your meeting with Museum Services Director Kim Sincox or call 910-399-9113 to learn how YOU can join the Volunteer Crew on the Battleship NORTH CAROLINA! Friends of the Battleship train volunteers to provide guided tours, serve as ship’s greeters, and assist visitors in becoming Friends members. Learn more! The Living History Crew is an organization of volunteers who wear period correct uniforms while interpreting the Battleship. During annual Battleship Alive events they give insight into the daily life and routine of the crew by explaining the duties specific to the sailor’s ratings (jobs) and demonstrating activities. Contact them for details. The Azalea Coast Amateur Radio Club enjoys a special relationship with the Battleship. 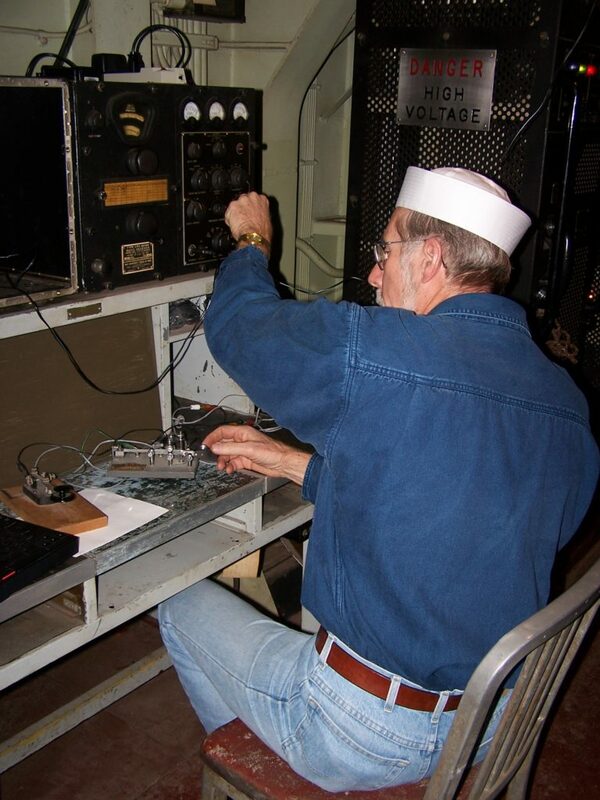 Their volunteers help restore original radio equipment, assist with Battleship events, offer a Guest HAM Radio Operator program and host the following yearly events: NC QSO Party, Museum Ships Weekend and Pearl Harbor Day Remembrance. They also offer a guest operator program to licensed hams who wish to operate SSB or CW from NORTH CAROLINA. Details of the guest operator program may be found on their website.